There is no reason for small businesses, like sole proprietorships, to panic about filing taxes and paying taxes when tax season rolls around. There are specific tax forms for each type of business entity. If you have kept even reasonably good business tax records during your tax year using your accounting software or your accounting information system, then you have everything in place to prepare your income taxes for the previous year. Before filing your taxes, you also need to be aware of the type of accounting you use for your business. Do you use cash or accrual accounting? That makes a difference when filing taxes. The form of business organization that you have chosen will determine the type of tax form you will use for filing and paying your taxes. Determine whether your business is a sole proprietorship, corporation, partnership, ​S corporation, or a limited liability company. Your form of accounting, tax year, and type of business entity helps determine what forms you use to file your federal business taxes and pay your taxes. The type of business entity is the most important factor in determining the tax form(s) that you file. Every type of business entity is liable for a number of different types of taxes. 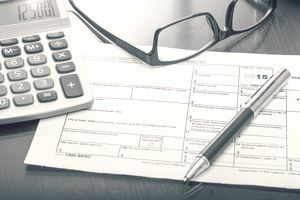 IRS Form 1040 is the form used by individual and, thus, by unincorporated sole proprietorships since they file under the same forms as their owners. IRS Schedule C is the profit and loss statement for the business. IRS Estimated Tax Forms and Instructions. Please note that this form says it is for individuals. Since businesses that are sole proprietorships file taxes with the owner, this is the appropriate form for the sole proprietorship. Unless the sole proprietorship anticipates taking a loss, it should file estimated taxes or face paying penalties and interest. Self-employment tax is the Social Security and Medicare tax that has to be paid by self-employed individuals. It is the same as the social security and Medicare taxes withheld from an employed individual's paycheck. Employers can elect to file Form 941 instead of 944 if they notify the Internal Revenue Service (IRS) of this choice. The IRS will notify the employer if they should file Form 944 instead. File IRS Form 941 each quarter if you are an employer for wages and tips paid, federal tax paid, and both employer and employee social security and Medicare paid. You must file IRS Form 940 if you paid wages of $1,500 or more to employees in any calendar quarter in 2010 or 2011 or if you had at least one employee for part of a day in any 20 or more different weeks in 2010 or 20 or more different weeks in 2011. Employers should furnish employees W-2 Form by January 31 of each calendar year. Employers must file a W-3 Wage Transmittal with the Social Security Administration by February 28, 2012. If you, as an employer, have paid someone who is not an employee, but someone who is doing temporary work-for-hire for you more than $600 during the calendar year, then you have to file a Form 1099-misc for each of these individuals. There may be other forms you have to file with the IRS due to special situations. This is not meant to be an all-inclusive list of all tax forms you have to complete for your business. It is important that you check with a tax attorney or other attorney to discuss your filing status and the forms you need to file.